Xiaomi has rolled out Mi Focus Cube in India at a price of just Rs 199. The product, a stress buster accessory, is available for purchase via Mi.com. 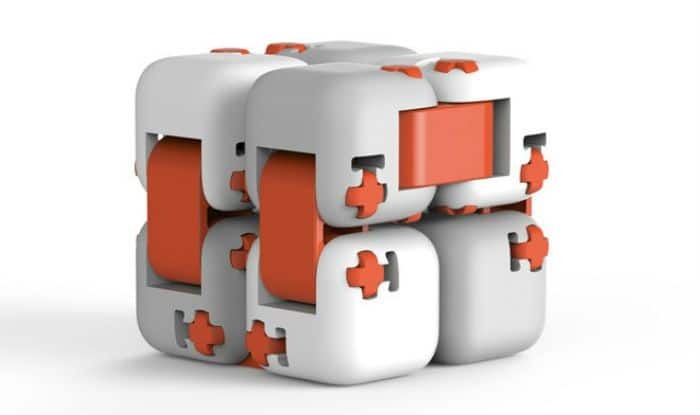 New Delhi: Xiaomi has rolled out Mi Focus Cube in India at a price of just Rs 199. The product, a stress buster accessory, is available for purchase via Mi.com. The device comes in only one colour combination, which is white and orange. Besides, the Chinese company has also launched the Mi Rollerball Pen Refill at a rate of Rs 119. The Mi Focus Cube dons smooth curved edges and offers a comfortable grip. The device weighs about 25 grams and is designed for children above 14 years. Furthermore, if rumours are to be believed, Xiaomi’s sub-brand – Redmi – will unveil Redmi Note 7, Redmi Note 7 Pro and Redmi GO in India before March-end. The Redmi Note 7 Pro is likely to come with a massive 48-megapixel rear Sony IMX586 sensor and flaunt a 11nm Snapdragon 675 octa-core chipset, coupled with an Adreno 612 GPU. As far as the price of the device is concerned, it could be somewhere around CNY 1,499 (around Rs 15,750) in China. Meanwhile, the Redmi Go is likely to don a 5.9-inch display and may run Android Pie Go Edition. It would be Redmi’s first device that will be launched with Android Go.